Did you know that despite all of the emphasis on employee engagement over the last decade, a Gallup study indicated that 87% of employees worldwide are not engaged. Organisations can no longer ignore the costs associated with poor engagement nor can they deny the financial benefits associated with highly engaged and intrinsically motivated employees. Research indicates that companies with highly engaged workforces outperform their peers by 147% in earnings per share yet engagement levels remain consistently low. Companies require a new approach—one that builds on the foundation of culture and engagement to focus on the employee experience holistically, taking into consideration all of the contributors to worker satisfaction, engagement and wellness. Understanding and improving the employee experience has become critically important for companies operating in the evolving and competitive global economy. Research has proven that experiential organisations that invest in their employee experience outperform other companies on all key metrics including stock price performance, revenue, profit, productivity and turnover. Experiential companies will dominate in the future of work and a properly designed and implemented employee experience has the power to transform an organisation. 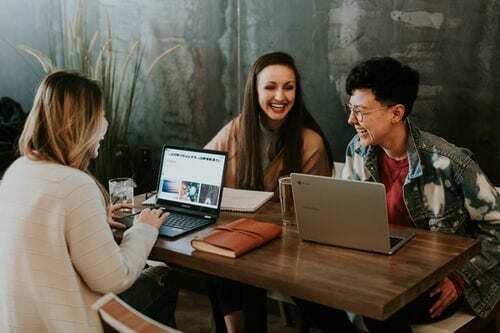 Data similarly suggests that in order to build a world-class customer experience you need to create a stellar employee experience as employees deliver a customer experience that is directly proportional to their own employee experience. BIOSS SA in collaboration with just THRIVE has recognised the growing significance of the Employee Experience in today’s highly competitive and challenging economy and developed thrive@work to capitalise on this opportunity. We offer cutting edge Employee Experience solutions tailored to companies of all sizes. Our innovative solutions combine the insight from different areas to create an integrated experience across the employee lifecycle. We identify areas for improvement whilst taking into consideration any initiatives that have been completed in your company to date. For more information on how our EX solutions can help transform your company and optimize your performance, please contact us on info@bioss.com.